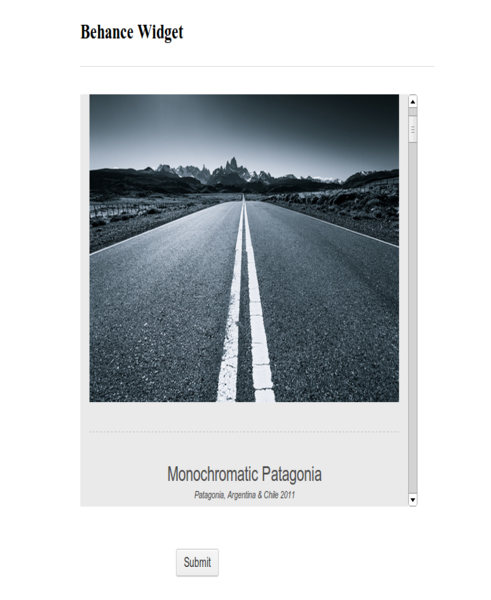 The widget allows you to easily embed your image Portfolios from Behance to your form. Just get your Portfolio direct URL , paste it to this widget and there you go! 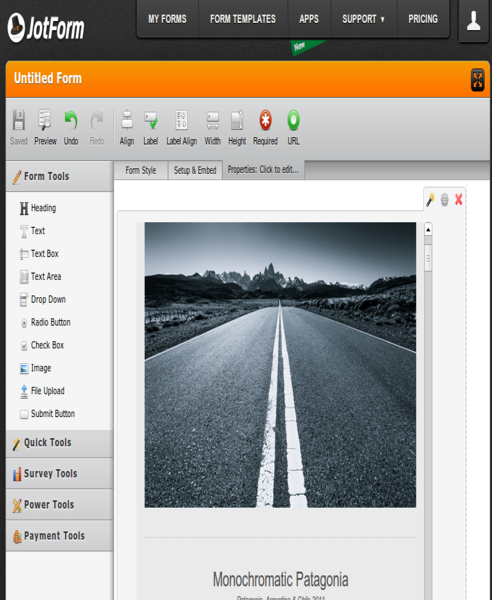 You have now a fancy form showing your image Gallery ready to show your work to world!